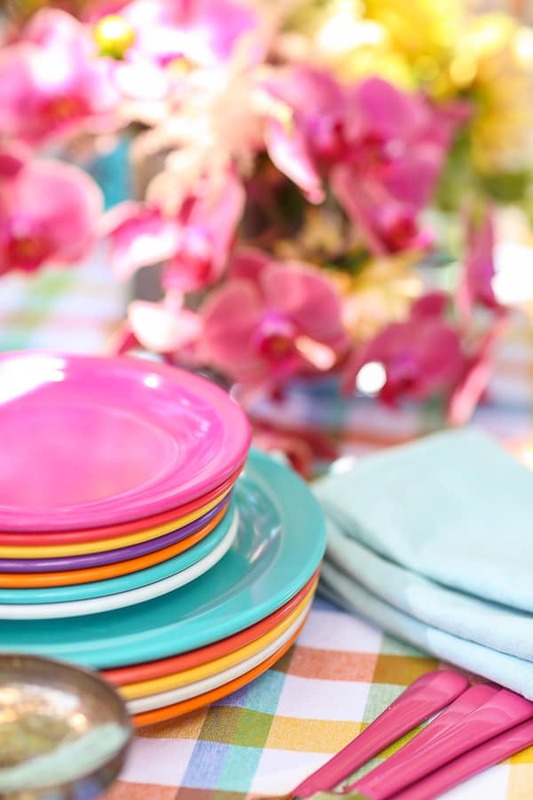 We brought the carnival to our backyard and created a colorful and festive carnival dinner party! Personally, I’m the one begging my kid to go to the carnival and fighting my way to the front of the line at the cotton candy booth. 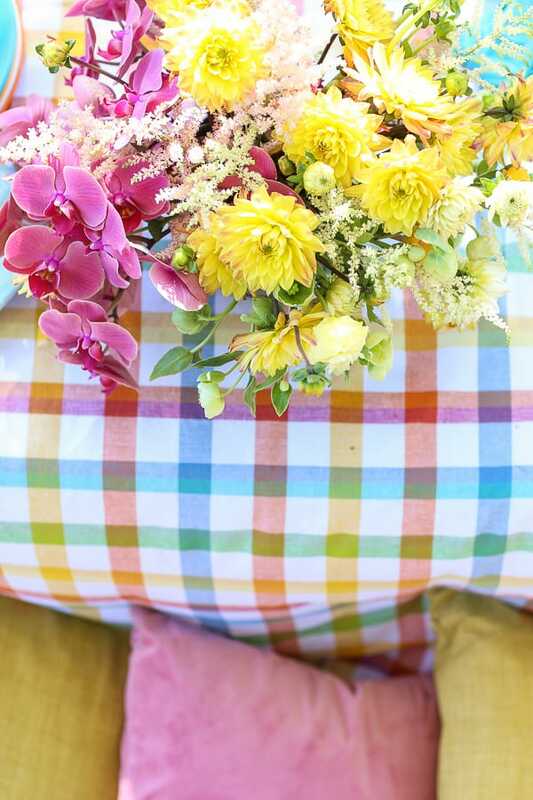 Carnivals are not just for KIDS! 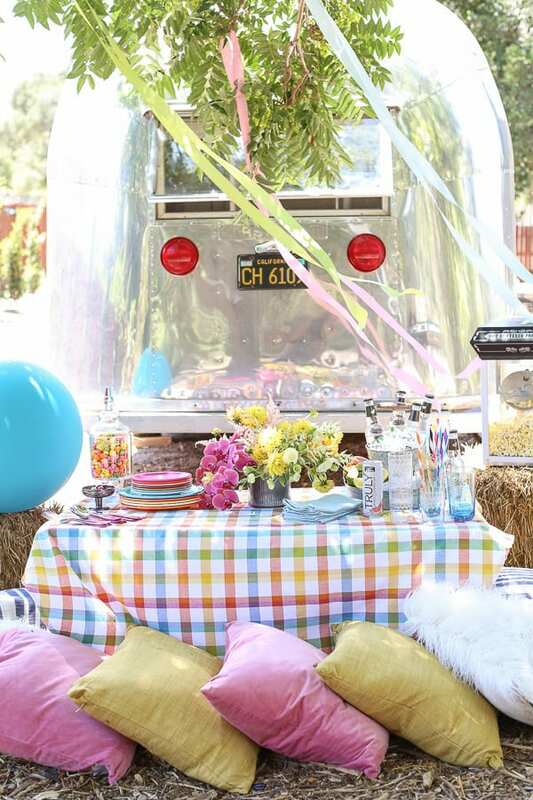 This party is created for adults with homemade corndogs, corn salad, spiked sparkling water in front of our 1958 vintage Airstream. There are so many options when it comes to re-creating carnival food, we barely scratched the surface. I must say homemade corndogs are pretty much heaven and if you haven’t had a pretzel croissant those are beyond yummy too! It was also a blast going on a rainbow shopping splurge for the party! 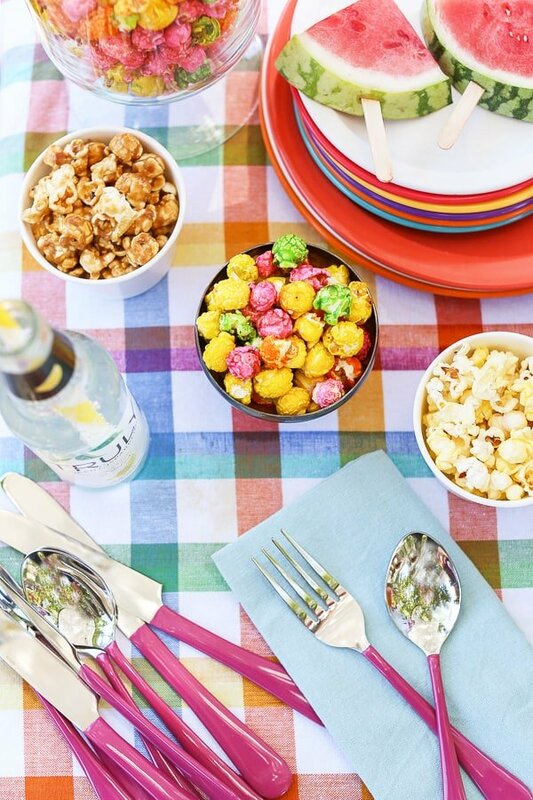 It was fun to let loose and use rainbow patterns and even serve colorful popcorn. More details below! Erin created these flowers for me. I told her I wanted a colorful ombre arrangement and she did an amazing job! I found these vintage Texas Ware plates in all different colors at an antique store! How fun right?! I’m always about easy entertaining when it comes to the food. 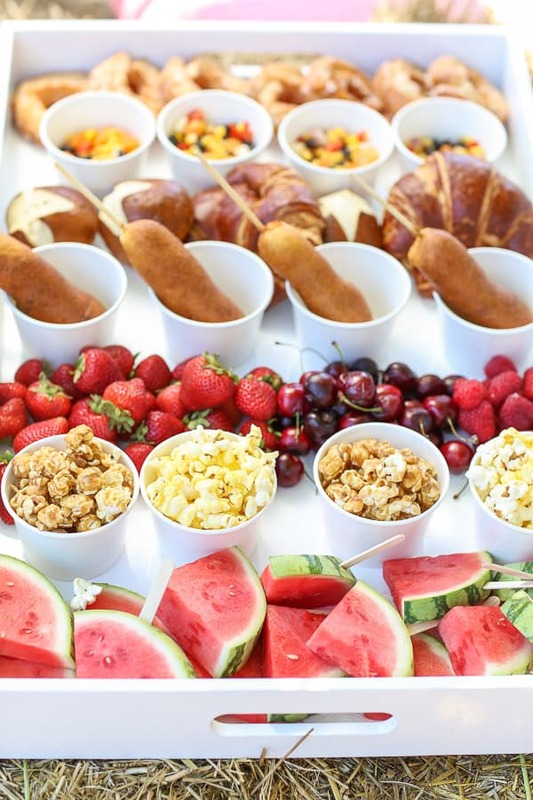 You could do a very elaborate menu, but I kept it simple with homemade corn dogs, fresh popcorn, fruit, watermelon on sticks, pretzel rolls and croissants and a corn salad. Who doesn’t enjoy a cold sparkling water on a hot day?! 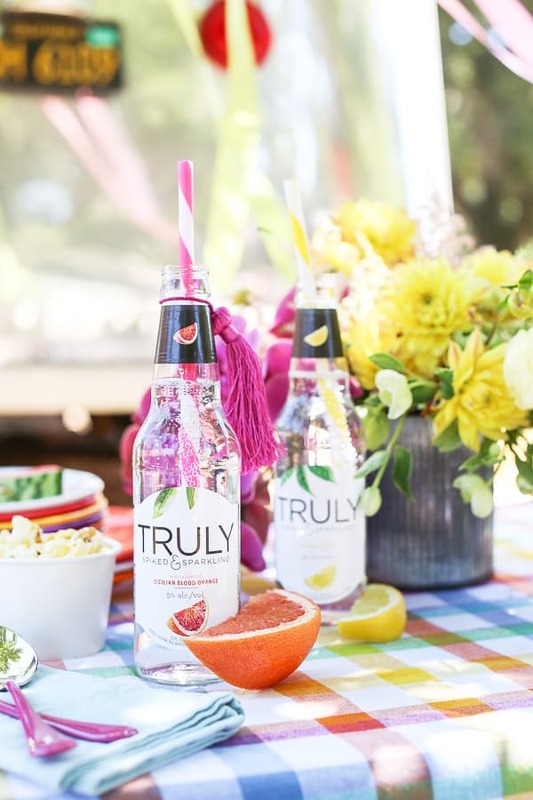 We’re fans of Truly Spiked Sparkling Water because it’s low sugar, low calories and has a hint of flavor. Guests totally enjoy them! 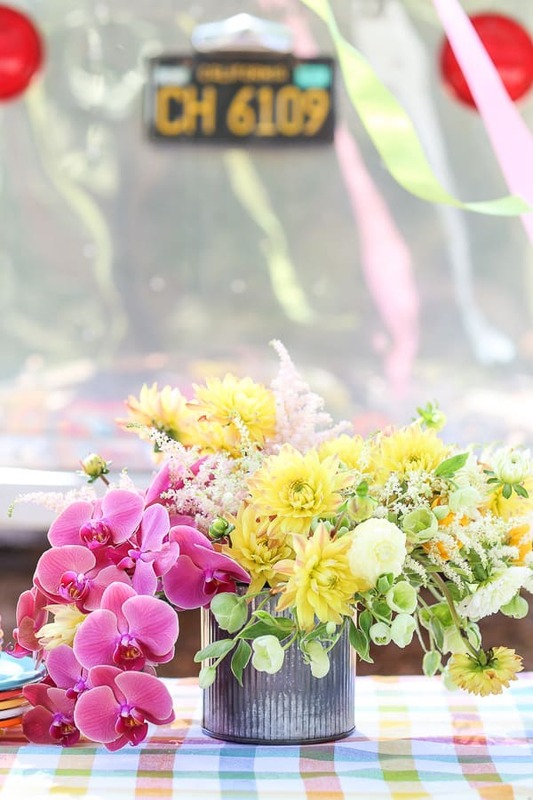 Also, fun entertaining idea, use colorful tassels as drink markers! Obviously it’s not a party without dessert!! 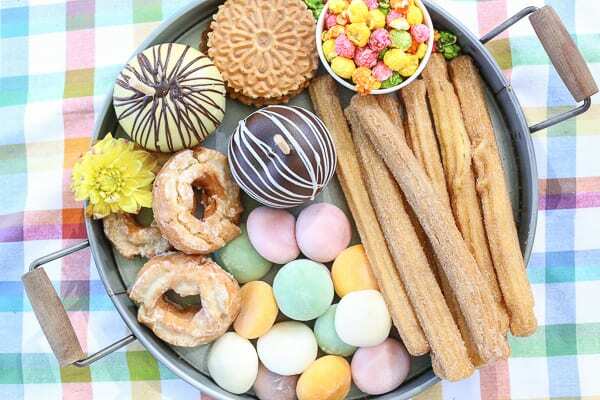 AND it’s not a carnival party with churros! 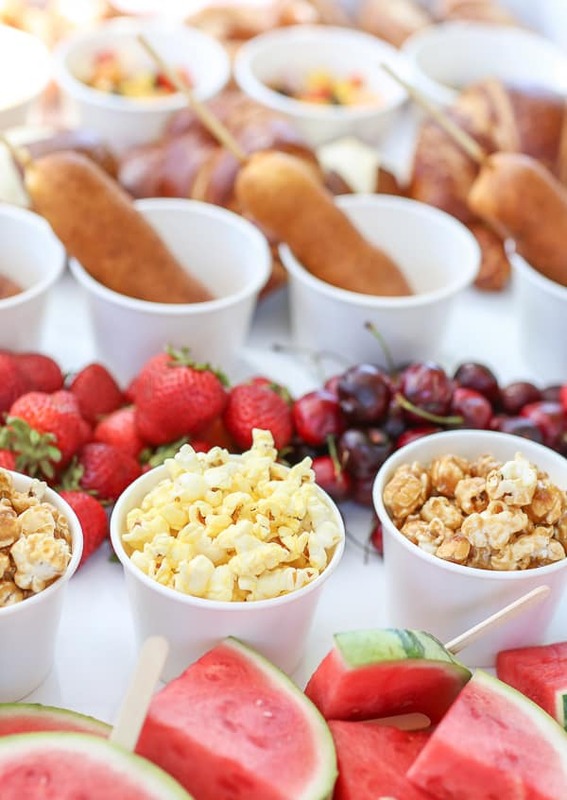 Personally, I think this is the best dessert spread… chocolate covered apples, churros, colorful candied popcorn, donuts and mocha ice cream! Something for everyone!